If you’re tired of eating the same old keto snacks all the time, then a keto box subscription can help spice thing up. Delivered to your door monthly, the following keto box subscriptions contain unique keto snacks that you might not be able to find on your own. You can pick from a variety of pricing plans based on your budget. Most boxes include five to seven different keto snacks and cannot be customized, but they vary each month. Quick Note: We noticed that although most snacks are lower in carbs than the ones you’d find at the grocery store, not all of them are entirely keto-friendly. There are many items that go in a box so some of them won’t be strictly keto. It’s a good idea to do your homework if you want a genuinely ketogenic box and not just one that’s low carb. Some of them offer 1-time purchase while others offer monthly subscriptions. Make sure to check their offers carefully before buying. Here are some of the best low carb and keto goodies boxes that are available right now. Keto Delivered offers Artisan groceries for people who follow the keto diet in monthly small batch boxes. 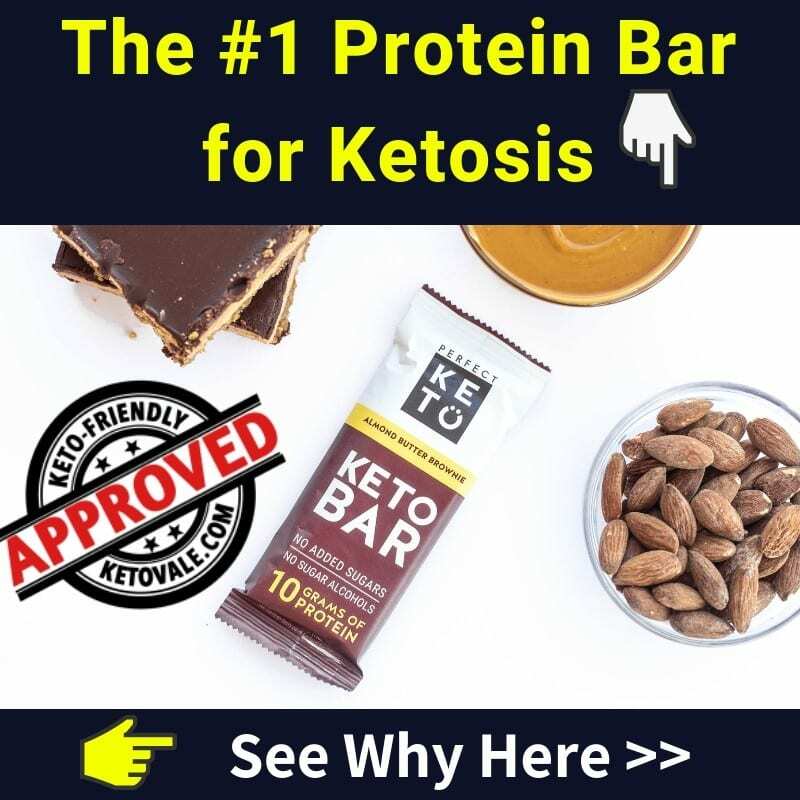 The company was founded by Elyse Mullins, who has been working in the keto field for four years. Her goal is to deliver keto snacks to help you stay motivated and continue with your keto journey. What they offer: The company provides a convenient way to support small businesses and farmers markets. Each box comes with five to seven different keto products that change monthly. The price for each box comes out to be less than $1.50 per day per item. Examples include keto sauces, foods, beverages, and snacks. In addition to snacks and keto foods, you’ll find delicious recipes in each box. Current Price: The price of each box is $39.99 per month. This includes shipping. All boxes are shipped between the 20th and 25th of each month. How to Sign Up: Go here! My Keto Snack Box is similar to Keto Box. They both offer monthly boxes that contain 8-11 snacks, but there are no options for subscriptions other than month to month. The company promises you’ll get unique keto-friendly snacks that can be enjoyed by anyone. They ship anywhere in the United States for free. They also ship worldwide for a fee. There are no contracts involved, and you can cancel anytime. You can also prepay if you like to be one step ahead. We had the opportunity to receive a sample snack box and we weren’t disappointed! It was exciting knowing that a box full of new keto products was on the way and it made us even more excited about the ketogenic diet. It also turned us on to new snacks that we have never seen before in grocery stores or online. 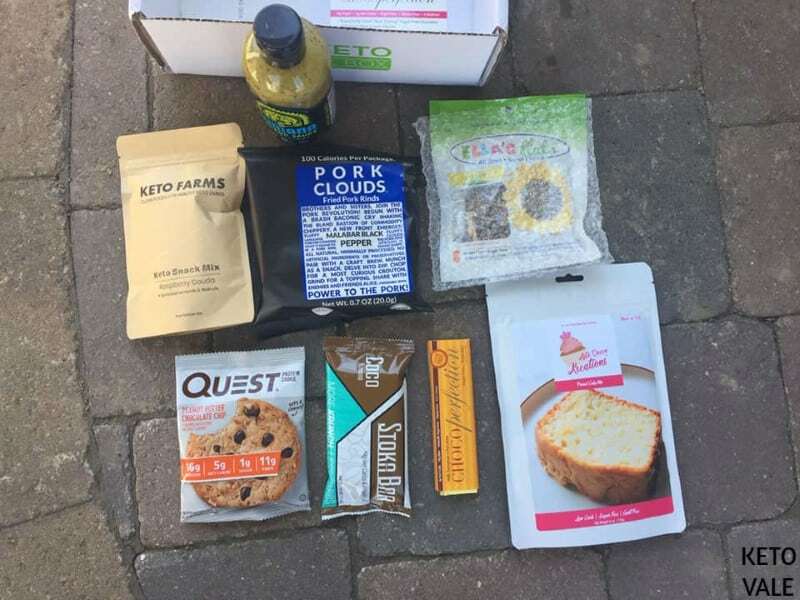 Overall, this keto snack box was delicious and truly a great variety of all things keto. It was obvious that each snack was carefully selected and the box was put together by hand. The flavor combination of sweet and savory was spot on. There was something in the box to satisfy every craving while keeping you in ketosis by keeping the carbs low and the healthy fats high. 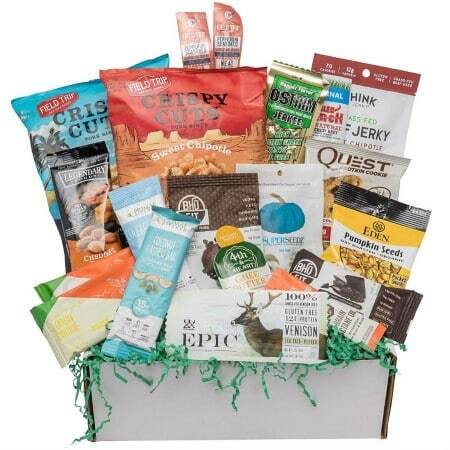 The box included salty snacks such as Ella’s Flat’s hemp seed crisps and fried pork rinds. It also included sweet treats such as the pound cake, Stoka bar, and chocolate bar. We loved that every single ingredient in these snacks was completely keto. The only exception may have been the Quest cookie, which is certainly delicious and lower in carbs but isn’t entirely keto-friendly. What they offer: Inside the My Keto Snack Box, you’ll find 8-11 different keto snacks each month. The company sends their boxes out on the 7th of each month. 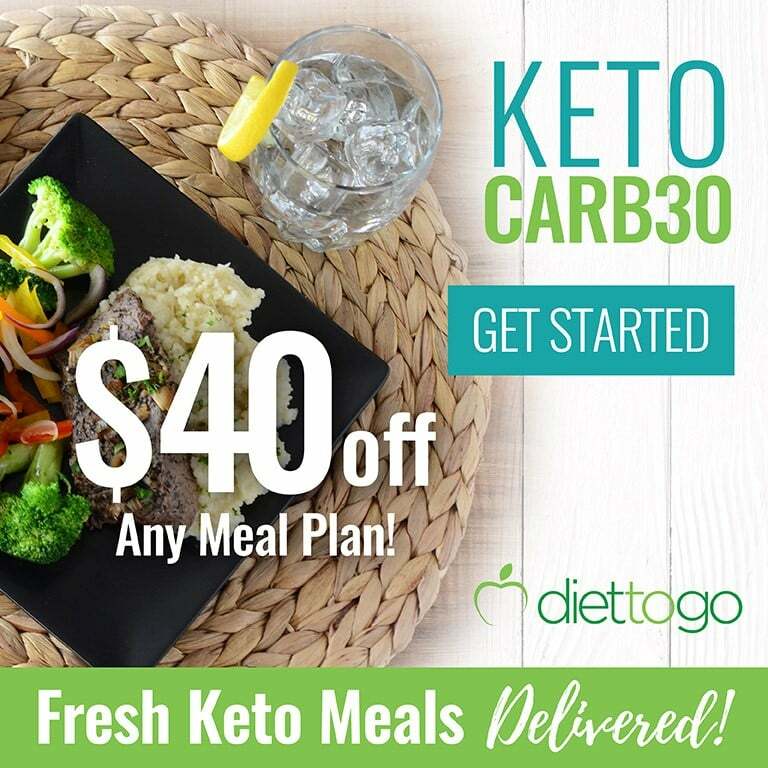 They promise to deliver unique keto snacks that contain 5 grams of net carbs or fewer per snack. Current Price: It costs $38 per month to sign up with My Keto Snack Box. If you follow the company on social media, you’ll get access to codes for discounts and coupons. The Bunny James keto snack box is a top seller on Amazon. The company was founded on the idea that rabbits break socially normal habits and so can you. This includes making better dietary choices. 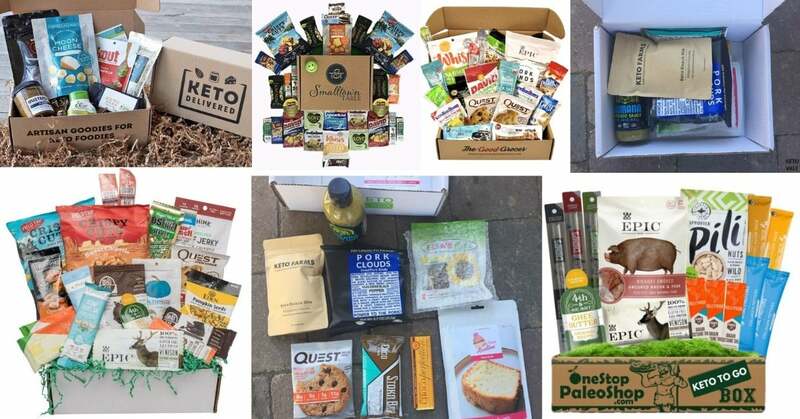 They offer several different subscription boxes, including vegan, paleo, gluten-free and keto. Their boxes are designed to inspire you to make better snacking choices. We noticed that although most of the snacks in the box are low-carb, not all of them are entirely keto-friendly. You may want to go with another box if you want 100 percent keto snacks. If you’re looking for a variety of low-carb options at a reasonable price, then this box will work well for you. The Good Grocery is another top-rated keto box subscription company on Amazon. 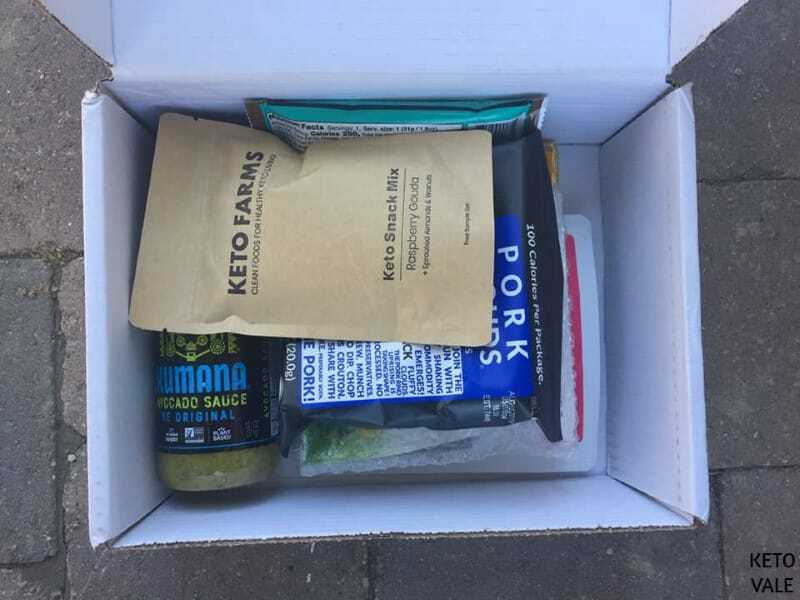 The company provides a variety of box subscriptions, including keto, vegan, Paleo, and non-GMO. All snacks included in the keto box contain five grams of net carbs or fewer per snack. This Keto To Go Box is made by OneStopPaleoShop, and it’s a top-rated box on Amazon. 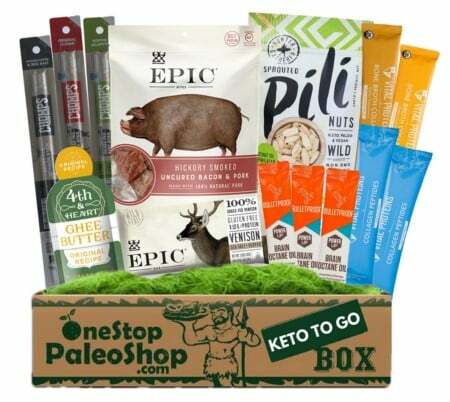 The company mostly offers Paleo goods, but they claim this box is entirely keto and includes products from BulletProof, Epic, Chomps, Vital Proteins, and more. They specialize in providing low-carb snacks. 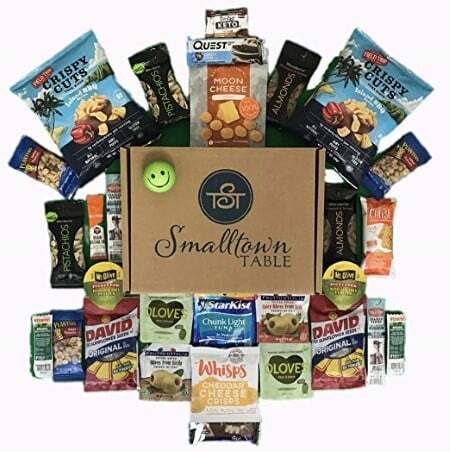 SmallTowne Table offers several different subscription boxes, including gluten-free, keto or low-carb, and happy birthday packages. They also offer other packages such as Skin Care, candy, and general snacks. Although they claim their keto box is 100% keto-certified, you may want to double check the package to make sure it is. It’s unclear how many net carbs are found in each snack. It appears that although this box is a good value, you can get better keto ingredients by going with a keto-certified company and not one off of Amazon. The Keto Box is so popular that the boxes tend to sell out if you don’t act quickly. 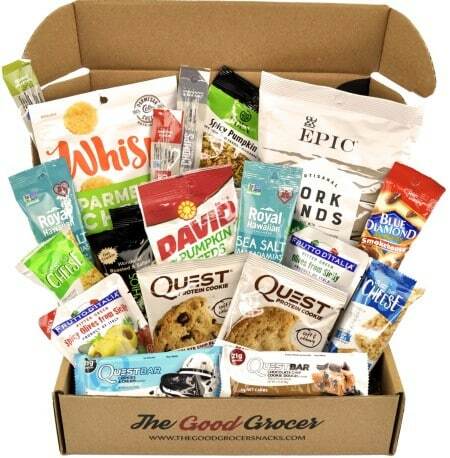 The company is a self-proclaimed subscription service that sends you 8-11 low-carb snacks every month when you sign up. They are headquartered in Los Angeles at 201 N Brand Blvd, Suite 200, Glendale CA 91203. 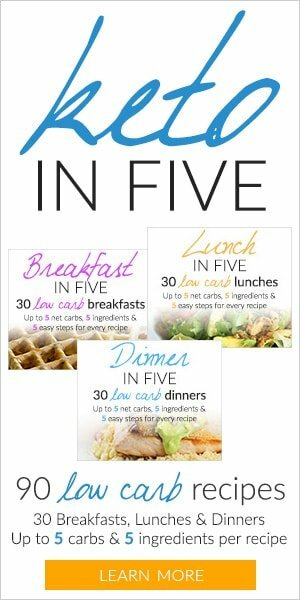 The website even has a blog for more reading about the keto diet as well as tasty meal suggestions. What they offer: Each box contains 8-11 keto snacks per month. It sounds like the snacks that are provided in your box are constantly changing and the company looks for new snacks to include each month. You can’t currently customize your Keto Box to accommodate dietary restrictions or preferences, but it sounds like this is something the company is working on for the future. Along with your box, you’ll also get exclusive monthly coupons and a free 28-day meal plan. 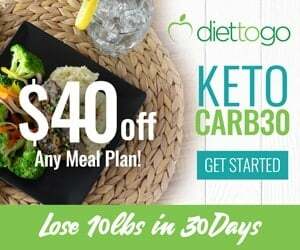 Price: The Keto Box has four different plans you can pick from. Shipping is free anywhere in the United States. Boxes shipped to Canada will endure a $15.99 flat rate fee. Currently, you can get 10% off by using the code SECRET. Month to month: you can cancel your month to month subscription anytime. Your subscription will automatically renew on the 15th at 12 AM UTC of every month. The cost is $40.00 per month. Three month prepay: with the three-month prepaid plan, you’ll save $2 per month. Your subscription will automatically renew on the 15th at 12 AM UTC at the end of your three months. The cost is $114 for three months. Six month prepay: with this option, you’ll save $4 per month. As with the three months prepay subscription, you will automatically be charged, and your next box will ship on the 15th at 12 UTC after your six months has ended. The cost is $216 for six months. 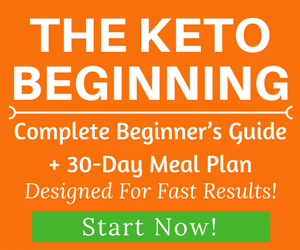 Twelve months prepay: you’ll get a free keto box when you subscribe for this plan. It includes a $6 per month savings when compared to the other programs. Your account will renew after the year is over on the 15th of the month at 12 AM UTC. The cost is $408.00 for the year. 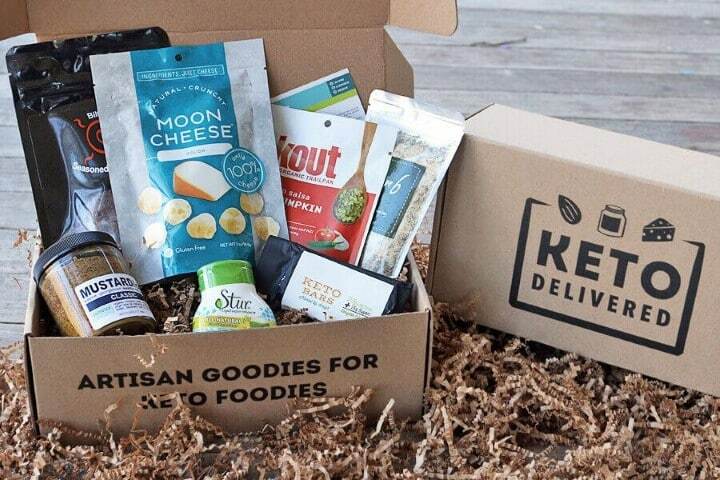 KetoKrate is a subscription service with a serious vendetta against cheap ingredients. The snacks in their boxes are free from gluten, aspartame, maltitol, sucralose, and soy. They also contain five grams of net carbs or fewer per snack. According to the website, the company has well over 8,500 keto box subscribers currently and a 98% satisfactory rating. There are no contracts, and you can cancel your subscription any time. What they offer: Each box contains up to nine keto snacks per month. You also receive $20 or more in coupon savings. You have the option of subscribing for yourself or gifting a box to someone else. The company claims they have discovered over 193 different keto snacks that fill your boxes. Along with keto snacks, you’ll get recipes, discounts, and success stories in your box. Price: KetoKrate offers two different pricing plans. Their $19.99 package is currently sold out. This package includes at least for keto snacks per box. The other option is a $39.99 box per month. This includes at least eight different keto snacks and has a retail value of $45. The SugarSmart Box founder’s name is not listed on the website, but he or she strives to provide you with snacks that help manage type 2 diabetes. They are low in sugar and claim to be keto and diabetic friendly. The snacks in each box change monthly so you can enjoy a new set of snacks each time a box is delivered. What they offer: Each box contains at least seven different snacks. Boxes are shipped on the tenth of every month. Along with keto and diabetic friendly snacks, you’ll receive coupons and a survey in each box to tell the company what you like and don’t like about your snacks. The company allows you to pick different pricing plans based on your budget. You can also give a gift or order a box for someone else. Price: There are two primary price options available. The SugarSmart mini box includes five to seven snacks and is between $29.95 – $83.85 per month. The second option is the SugarSmart Box subscription and it goes for $39.95 – $107.85. You’ll get at least eight snacks in this box. Onnit Is a company that offers a wide range of health products, not just keto boxes. They sell supplements, foods, and apparel for the fitness minded. The Onnit keto box was designed by Onnit CEO and founder Aubrey Marcus and former UFC heavyweight contender Brendan Schaub. 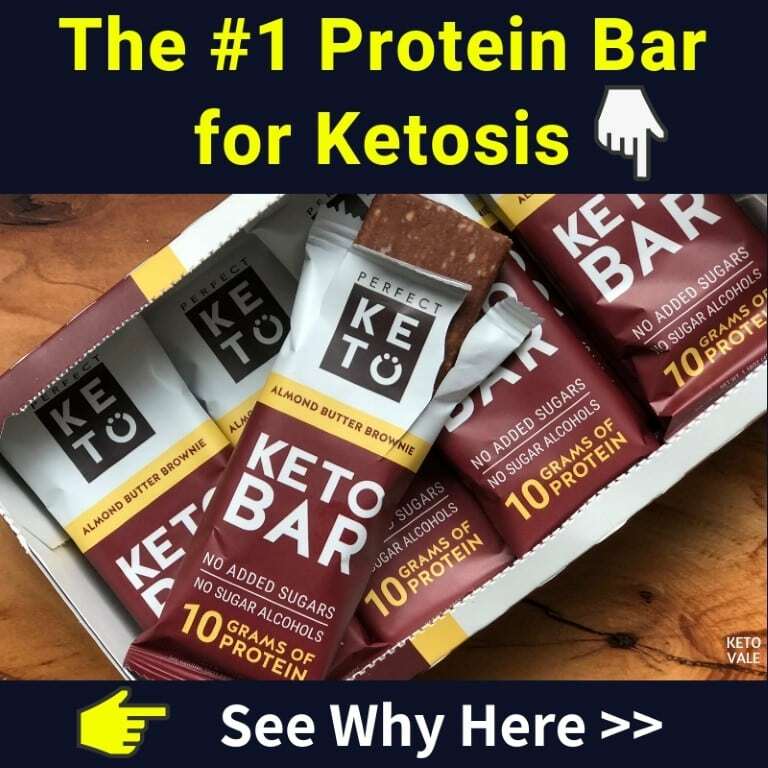 What they offer: According to the website, each box contains keto supplements, foods, recipes, and snacks, but it does not say how many. Some of these items come from the Onnit collection. The website also states that Marcus and Schaub personally taste each of their items before sending them to you. Price: The price of each box is $55.95 per month with free shipping. If you subscribe to the company, then you can get 15% off. Orders are shipped on the 10th of every month and you can cancel your subscription any time. New Update: Onnit doesn’t offer this keto box service anymore, but they’ve just released some delicious keto fatbutters. You can read our review here! Where to buy: Go here! Subscribing to a monthly keto box is a great way to spice up your diet. Eating the same old snacks daily can get boring and cause you to lose interest in the keto diet. Most keto snacks vary monthly, which means that you can expect to be introduced to new snacks each month that you might not otherwise have access to at your local grocery store. Do your research before subscribing to a box if you want to make sure that your snacks are 100% keto. We noticed that some of the snacks in the boxes mentioned above might be low carb but do not meet strict ketogenic regulations. Boxes also tend to be pricey, just like a food delivery service, because they are delivered right to your door, but they are worth it if you are truly serious about the ketogenic diet and sticking to it for the long haul. Disclaimer: The price mentioned in this article is the current price. Latest prices might be different. We noticed that most of the packages from Amazon do not change monthly. This means that you can expect the same snacks every time you order this product. It doesn’t appear that they offer subscriptions, either. On the other hand, if you order from a company that is not on Amazon, you will be charged monthly and should expect your snacks to change with each box.